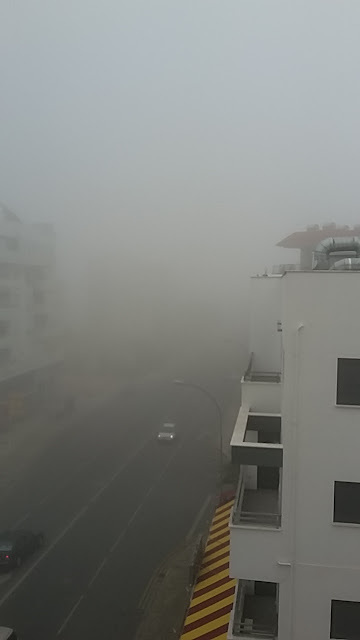 I guess the climate conditions benefits the creation of fog these days. High temperature with humid environment create some very interesting views of the city. Heavy fog in Nicosia, Cyprus. Photo from Back of our home. 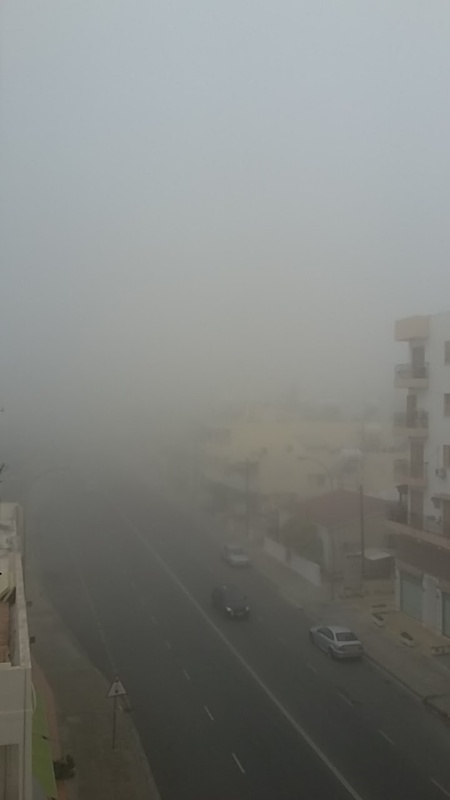 Heavy fog in Nicosia, Cyprus. Photo from Larnakos street looking north east. 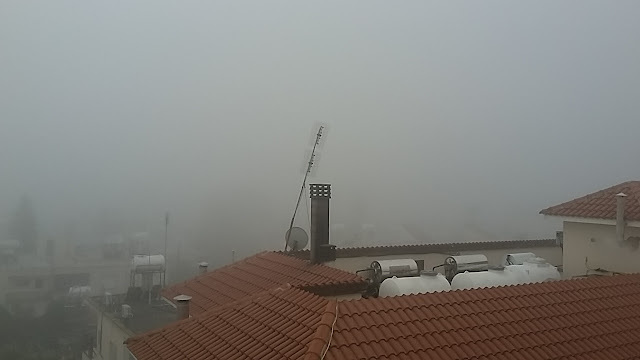 Heavy fog in Nicosia, Cyprus. Photo from Larnakos street looking southwest.